Joining a new gym can be intimidating, especially if you’re jumping into a group fitness class. Nobody wants to be the “new person” and feel like the entire group is watching them, questioning them, wondering what they’re doing here. In a world full of big box gyms, you can easily get lost in the shuffle of people, not knowing what to do, spending more time waiting for equipment and talking than actually working out. You know the scenario, a towel or water bottle saving equipment as a grunting person hits their newest super-set. 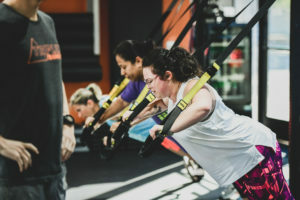 Luckily, smaller studio gyms and group workouts are a completely different mindset- they offer guidance and instruction, as well as motivation and camaraderie. 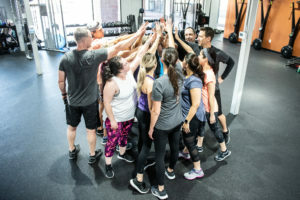 At Triplex Training we have our own little extended family, not only do the trainers know you and truly care about you, but the members themselves create friendships that spread far beyond the walls of the gym. 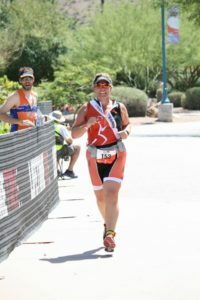 Knowing you have a trainer that is compassionate about making you a better person and is there to guide you through this journey is comforting for anyone. And having other “friends” to meet at workout each day, not only helps with accountability, but the transition of becoming comfortable being uncomfortable. We all know that good things don’t come easy. Is there a little struggle along the way— of course. But each and every person progresses at their own individual rate with trainers keeping you safe every day. 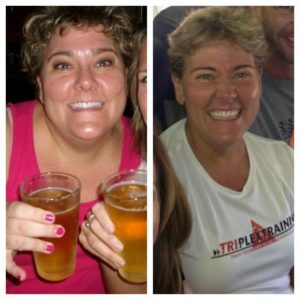 Client Karen Draeger needed a boost from the monotony of training at a big box gym and decided to give it a try. What are some things you found at Triplex that you weren’t expecting? What is your fitness level/lifestyle after joining Triplex? And what should potential clients know about Triplex Training? We strive to help our clients improve and hit their personal goals while contributing to a community of support, fitness and fun. Don’t be nervous to come join us. We welcome new folks in daily. Come on in for a free workout.